Wars are always classified within historical eras with a start and end dates. However, do wars really have an end? Do wars end when bombings and strikes stop? 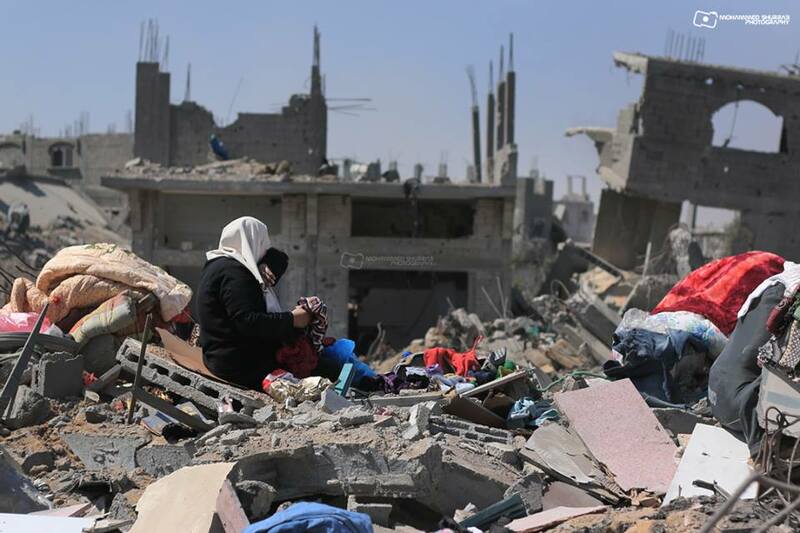 Palestinians in the Gaza Strip, have witnessed three wars within six years, each war ended leaving a mass of destruction at all levels, and none of them has really ended. When the people in the Gaza Strip speak of the memories they have of the wars, all of a sudden, memories turn to be very alive scenes, as if the wars have taken a place in their hearts and souls. 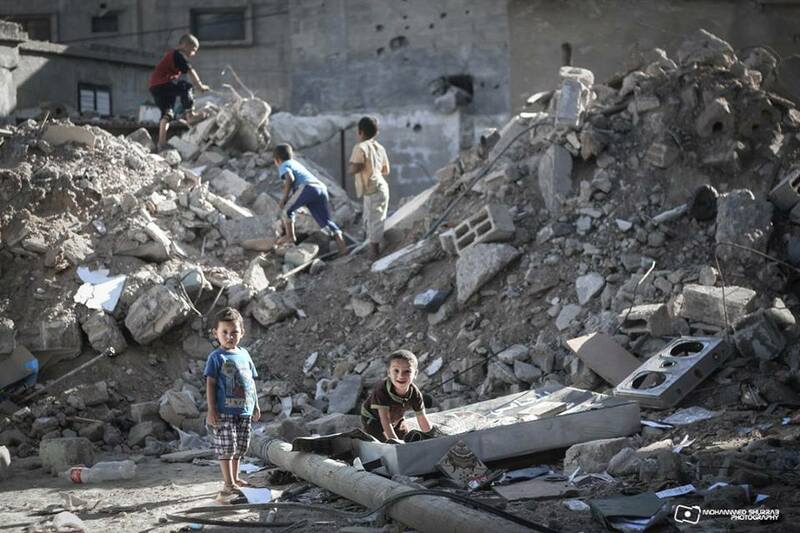 Do we, in Gaza, overcome the trauma? Psychologists have to expand their theories in the post traumatic disorder interventions when it comes to the Palestinians in the Gaza Strip. Living and surviving three wars is not an easy life story. Damages have occurred in our life system. In what way in the whole world can people get used to the sounds of bombs, because people in Gaza did? This needs to be brought to the attention of the whole world, the people in Gaza Strip lost their lives during the past three wars, they are alive but without souls, their humanity has been easily raped by the silence of the international world watching genocide taking place. We gained nothing from wars! An old woman once said, as a survivor of three wars: “In the 2008 war, I lost my eyes, and in the 2014 war, I lost my home. Loss is all I’ve gained”. In wars, we harvest loss and pain. A child, 4 years old, keeps repeating: “Every time I go to sleep, I hear loud explosions, and I cover my face with a blanket to hide from the rockets. I am afraid of sleeping”. The war visits the people every night in their dreams. People, during the war, run under heavy shelling looking for a safe place, leaving their houses, people were displaced in the schools and the streets. Many of them lost their children when they were running. A young man, from Al Shejeaya, was holding his son in his hands while running looking for a shelter, when shrapnel hit his child, cutting him into pieces. This man has nothing to speak about except the moment of his biggest loss, he says: “Why live?! I lost my pregnant wife, and I could not protect my child, he died in my hands. All of my life was snatched away in a matter of seconds”. We need to live without remembering the scenes of the massacres, we want to stop expecting wars at every second, is that a too much for a human being? Having a tour of the massively destroyed neighborhoods in the Gaza Strip is not easy. The rubbles of thousands of houses are not only a pile of stones, those rubbles are huge amounts of stories, memories, dreams and hopes which all have been brutally scattered. Meeting a mother who has lost a child in the war is like meeting a mountain dipped with anguish. All she can talk about is her child whom she lost, she does not speak of his/her death but rather of his/her life, hobbies, things they hated and things they loved, as if she denies the fact that she lost him/her forever; and telling her the truth is like committing a crime. Forgetting is impossible, but death has become a habit. Losing the souls of the beloved ones can take the lives of the survivors with them in the graves, this leads us to the fact that we are also buried in life. 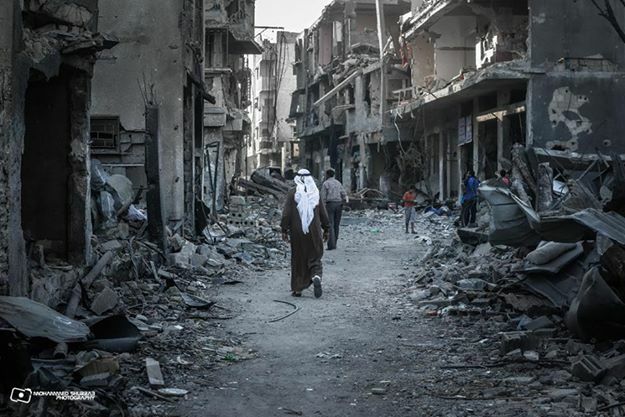 The war has done a hellish job in the Gaza Strip, the war did not end, people are still suffering its severe consequences, the only different thing is that the explosions have stopped; otherwise, the stories of pain and loss continue to be our antagonists in the Gaza Strip. We Shall Not Forgive nor Forget!!!! 2,127 Palestinian citizens were killed during the 51 days of war. The number of deaths included 544 children and 302 women. The number of wounded is 10,744, including 3,258 children and 2,089 women. About 3,000 wounded are expected to have lifelong disabilities. About the Israeli attacks, the Israeli occupation carried out 60,664 attacks, including 8,210 airstrikes, 36,718 tank and artillery shells and 15,736 naval strikes. The number of houses targeted by the occupation is 16,002, including 2,358 completely destroyed and 13,644 partially destroyed.